Our rural fire research team have completed a new smoke forecast for Saturday 9 and Sunday 8 February. 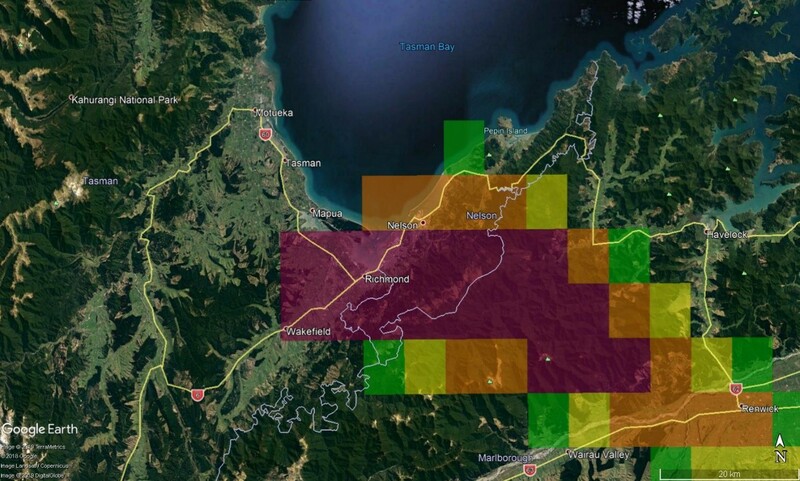 The model is for worst case scenario including a fire flare up near Wakefield. If this has not occurred, the areas predicted to be impacted by heavy smoke concentrations will be smaller. If fire activity persists, the smoke hazard will remain high. 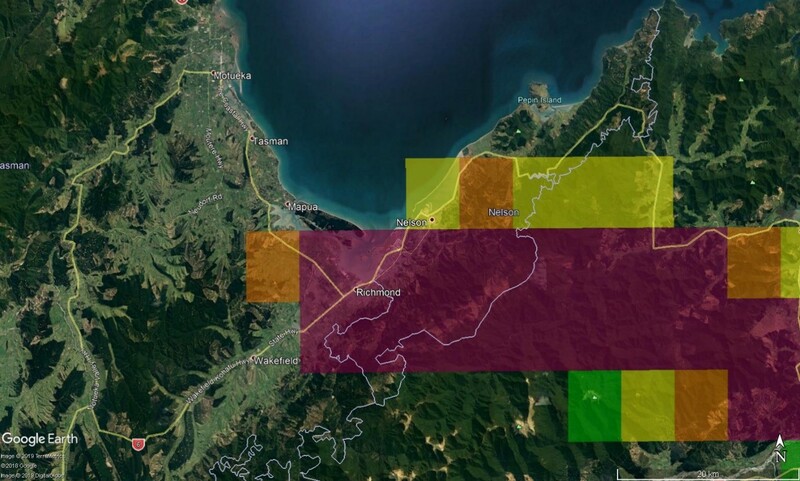 Important note: A wind shift is predicted to cause smoke to move over Nelson City and Nelson Airport during early to late Saturday morning. After a brief relief from smoke early on Saturday morning, smoke will again move over Wakefield, Redwood valley and Brightwater from late Saturday morning until Sunday morning. It is predicted that smoke impacts will decrease to medium to light between 3 pm Saturday afternoon early Sunday morning where after heavy smoke impacts are again predicted. 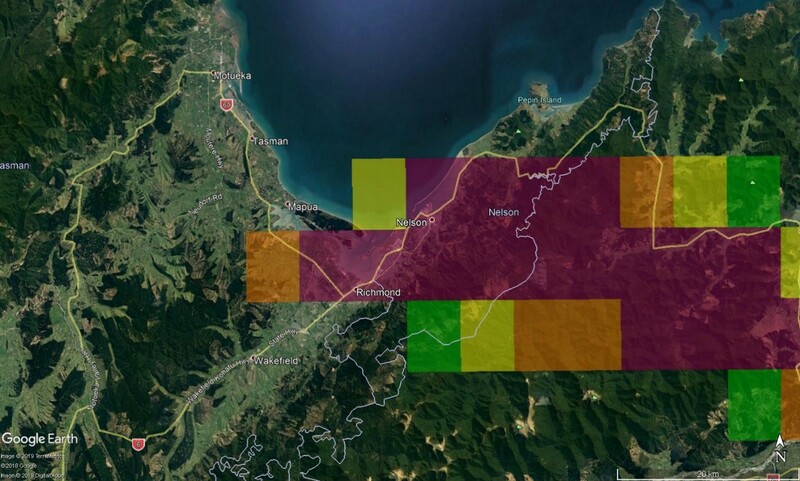 Smoke modelling indicates a high potential for impacts on major highways in the Nelson and Marlborough regions throughout the forecast period. 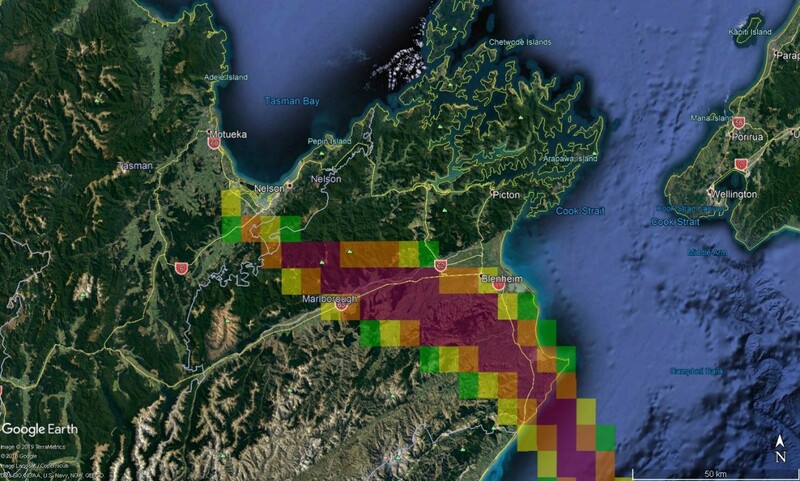 Under high fire activity, smoke hazards are possible in Blenheim during Saturday morning. Narrow valleys are more vulnerable to smoke impacts on visibility (roads) and health. Prediction period: Saturday, 9th Feb to Sunday, 10th Feb.
Colours represent smoke impacts: Green – very light; Yellow - light; Orange - medium; Purple - heavy. Image 1. Smoke prediction for Saturday 09 Feb 2019 at 7am. Image 2. Smoke prediction for Saturday 09 Feb 2019 at 9am. Image 4. Smoke prediction for Sunday 10 Feb 2019 at 11am.